Taking art to the streets is one way you could describe what is happening in Britain. Today August 9th is the official launch of an art extravaganza that will be on from August 12- 25. 57 works chosen by the British public will be scattered across the country on 22,000 billboards, as well as 2000 London buses, and 1000 black cabs. This is an art show that takes art out of the galleries and museums and drops it into the day to day routines of the British population. The billboard have been donated free of charge and the public funding campaign is aiming to raise 200,000 pounds and are currently about three quarters of the way there. They expect that 90% of the British population will see some if not all of the 57 works included in the project. 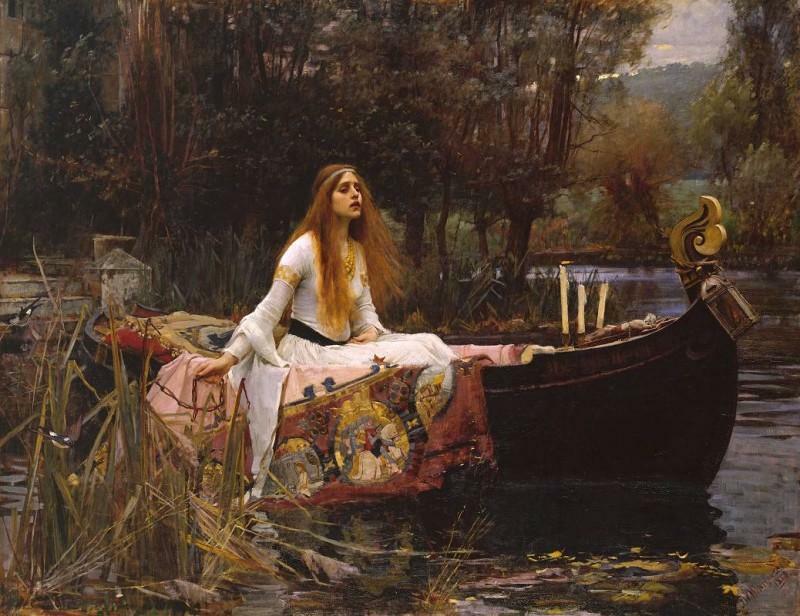 I confess I was surprised to discover that the number 1 favourite work was by the Pre-Raphaelite artist John William Waterhouse’s The Lady of Shalott (1888). Less surprised to see the cover to The Beatles Sargent Pepper’s Lonely Hearts Club Band on the list, but there is also work by John Constable, J.M.W. Turner, Stanley Spencer, Lucian Freud, Francis Bacon, David Hockney and Barbara Hepworth and contemporary artist Cornelia Parker. A look at Waterhouse’s Lady of Shalott alongside Parker’s engaging and attractive installation work Cold Dark Matter: An Exploded View provides a glimpse into how things have evolved in the world of visual art in the last century. There is likely to be some debate about whether this kind of democratization of art is an asset or liability to the visual arts. On the critical side we may ask: Is it a case of mass reproductions, generating ever more reproductions keeping the audiences at arms-length from the originals? Does this effort to flood the landscape (or city-scape) with images from the hands of Britain’s most skilled artists simply make art one more commodity to be consumed? 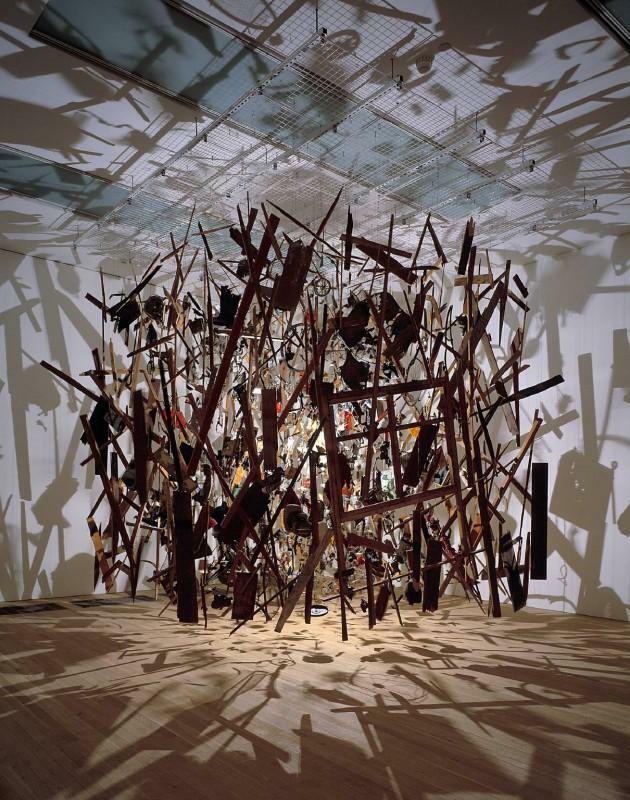 Does having “art everywhere” undermine the uniqueness of the works and erode their true aesthetic value? Yet in support of such a project it could be said: This is an ingenious way to bring art to a public that would not take the time to go to a museum or gallery to see this work. The power of these images to draw in the viewer will result in fresh appreciation of visual art and serve to inspire many. Soaking the visual landscape with these images will bring relief from the ever present advertisements may well launch many on a road of discovery – opening up a new world hitherto unknown. At the very least for the next two weeks art will be the talk-of-the-town all across Britain – likes and dislikes, joy and frustration, pleasing and irritating, worthy and unworthy all grist to the mill in conversations about art. Post a comment on the Imago facebook page and let us know what you think of the Art Everywhere project.